For the month of June The Soldier Who Killed a King is available for preorder from Kregel Publishing for the early bird price of $10.99. The worldwide release date is July 25th. 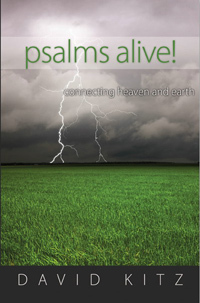 Greetings to the regular readers of my daily devotionals on the Psalms. For a number of reasons I have decided to take a short break from my daily postings. This is largely due to looming deadlines on two writing projects and a rapidly approaching appointment for eye surgery. As every juggler knows, if you have too many balls in the air, you have to let one of them drop. Reluctantly, I have decided to drop my daily devotional posts. In their place you will find a photo and a short reading from the Psalms. I typically do these short posts on the weekend, but for the next few days they will appear on regular week days as well. One of my writing deadlines involves the final edit of my full-length Passion of Christ novel entitled, The Soldier who Killed a King. Please click on the link to view the book cover. Kregel Publishing will be releasing this book later this year. Yes, I’m pleased about that! Finally, on a personal note, today is my sixty-fifth birthday. My how time flies when you are having fun! I have so much to be thankful for including good health, a great wife and a loving family. But Jesus and spiritual rebirth is the greatest gift of all. There’s a great expression from the Psalms about how that makes me feel.